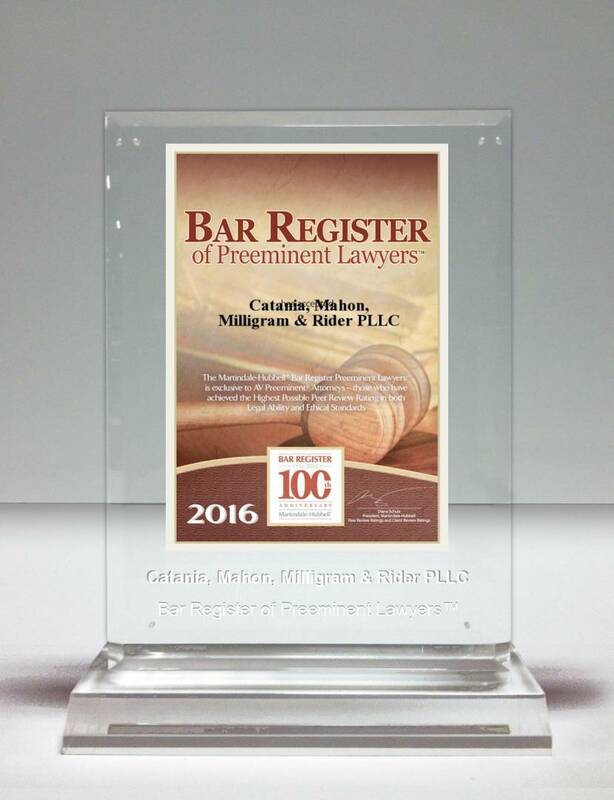 Catania, Mahon, Milligram & Rider PLLC is proud to announce its inclusion in the 2016 Bar Register of Preeminent Lawyers. The Bar Register is a unique guide to the legal community's most eminent professionals. It includes only those select law practices that have earned the highest rating in the Martindale-Hubbell Law Directory and have been designated by their colleagues as preeminent in their field. This inclusion is especially momentous as 2016 marks the 100 year anniversary of the Bar Register.